Gary Uftring is extremely passionate about Corvettes. This passion is displayed in a few ways - his collection of classic Corvettes, the motorsports program at Uftring Chevy Saab, his charitable donations including giving away a 1974 Corvette Convertible to raise money for Peoria Promise, and also through his sponsorship of the Mid-Illinois Corvette Club, to name a few. I had the opportunity to attend the Mid-Illinois Corvette Club's monthly meeting and observe. A few things came to the fore. The first thing that struck me was this group loves to get together and eat. This is a philosophy that cannot be argued with. 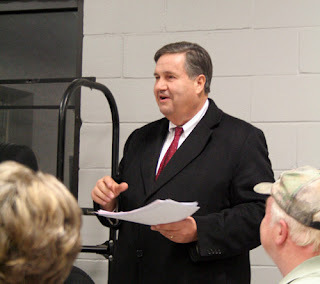 They have numerous "meet and eat" events planned through the coming months and year. It's absolutely fantastic how they love to be in the company of one another. Even if you aren't a Corvette enthusiast, everyone can enjoy having a good time and good food with friends and fellow enthusiasts. The MICC is a prime example of this. While the Corvette Club knows how to have fun, it is not the only thing they do well. Charity and good will is another aspect that this group exemplifies. Giving back to the community is very important for them and they carry it out in a number of ways. Over the winter they collect and donate shoes and boots to a school where underprivileged children have a great need of such items. 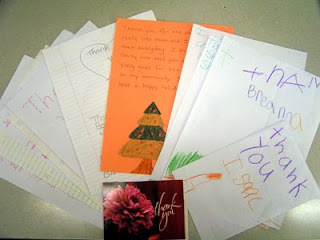 These kids were so appreciative of their gifts that many thank you notes were written. The MICC also works with St. Jude Children's Hospital throughout the year. They hold a Memorial Day weekend St. Jude Runner's Charity Car Show at Uftring Chevy Saab. In addition they support a family that receives services and care from St. Jude. It was clear that this relationship has been very beneficial and of great significance for the club. 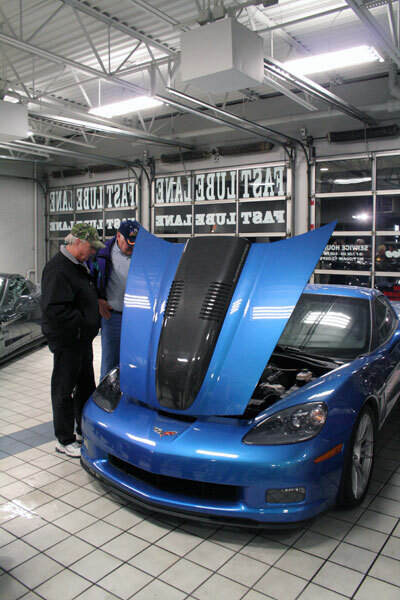 From my brief encounter with the club and its members, I gathered that the Mid-Illinois Corvette Club is all about community and relationships. Oh, and driving fun and beautiful cars around and attending some fantastic Corvette events in scenic places. This certainly doesn't hurt prospective memberships. If you have an interest in Corvettes and live in or around Peoria or Central Illinois in general, you should check out the Mid-Illinois Corvette Club. They have monthly meetings every second Monday at Uftring Chevy Saab in Washington and a filled calendar of events to attend throughout the year. If you're interested in Corvettes then don't miss Uftring Chevy Saab, the only ZR1 and Callaway Corvette dealer in the region.